A growing number of people are avoiding gluten. In fact, a survey from 2013 showed that almost a third of Americans are making an effort to eliminate gluten. For many, the reason for avoiding gluten is that they suffer from celiac disease; though, others can develop a sensitivity to gluten as well. Gluten is mostly found in breads, chips, crackers, and other starchy foods. When flour is combined with water, the gluten in the flour helps to increase the elasticity of the food. For people suffering from gluten sensitivity, the consumption of breads and other foods that contain gluten can affect the digestive tract. If you are trying to avoid gluten, you may not have trouble finding gluten-free dinner ideas. Here are a few more to add to your library of gluten-free recipes. If you regularly eat dinners served with bread or crackers, avoid the gluten containing foods for fresh veggies. 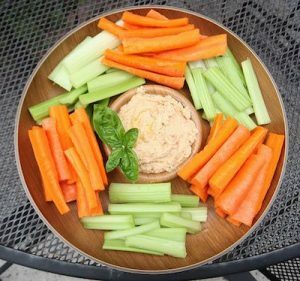 Add carrots or celery to your side dishes. Another option is to skip the side dish altogether. There are many ways to replace pasta or noodles. 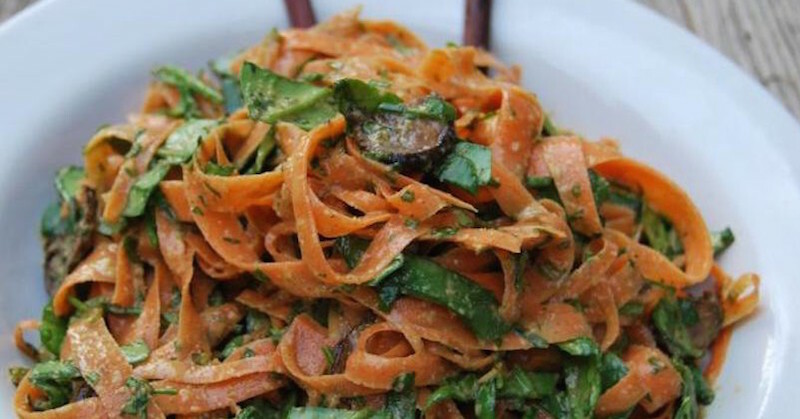 You could make your own carrot pasta or buy rice noodles. Both of these options are gluten-free. Almost any Italian style dish that you regularly make can still be made. You just need to find a gluten-free alternative to the noodles. The main obstacle to eating gluten-free is finding recipes that still taste great. The easiest way to do this is to replace existing ingredients with gluten-free alternatives. Here are a few more examples of raw foods that can be used to replace other ingredients. Replace breadcrumbs with almond meal. You will get a bit more flavor out of the almonds and can avoid gluten while making meatballs and other recipes that require breadcrumbs. Cauliflower can be used as a replacement for couscous. Place raw cauliflower in a food processor and blend until you have instant couscous. Another couscous alternative is to boil red-lentils until they are tender. Quinoa could also be used to replace traditional couscous. Granola, despite being a healthy food, actually contains gluten. To replace granola, use chopped nuts. You may want to toast the nuts and then chop them in a food processor. Almost any meal that contains gluten can still be made. You just need to find a replacement for the ingredients that contain gluten. Replace breads, crackers, and noodles with vegetables and other gluten-free alternatives. Eating gluten-free does not mean that you need to sacrifice taste. Take the time to find gluten-free alternatives for dinner.